The Parisian brand with military inspirations have already presented several watches for the Onlly Watch charity auction so this year is nothing new to them. As for this year’s auction, Bell & Ross have modified a recently introduced BR-X1 RS17 which in itself is the product of the collaboration with Formula 1 team Renault Sport. 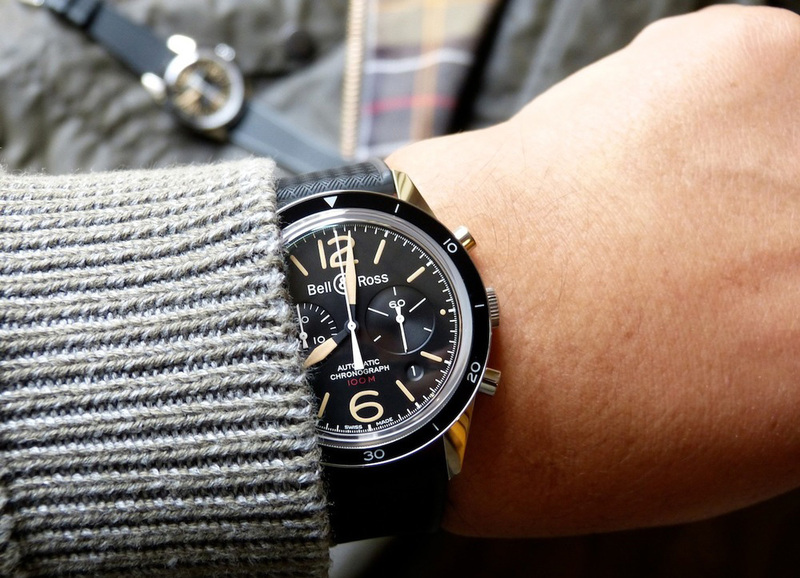 This is super cool for a military inspired watchmaker to be infused with racing genes – that is just explosive. Bell & Ross even takes it further this year by including some surprises that goes with the unit purchase so stay tuned. Being a charitable event, the Only Watch charity auction states that a participating brand donates a watch specifically created for the occasion so this means it should be unique or even better a totally dedicated watch. 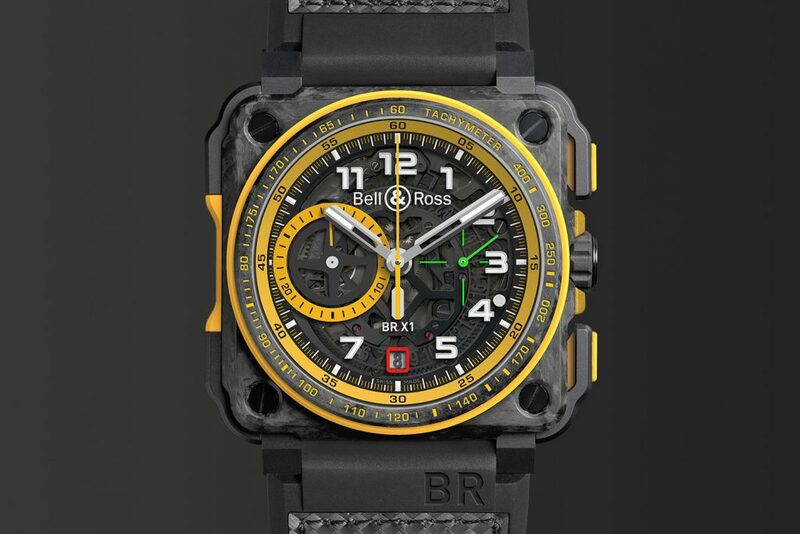 With this in mind, Bell & Ross usually donates watches based on existing models with heavy modifications as to make them really stand out. This is very true with the robust BR-X1 Chronograph. The racing gene of the watch is unmistakable but this is to be expected since racing accents has been infused in the watch in the early stages of its development. The most distinguishing change is of course the color scheme which is in yellow and black that happens to be in resonance with the color theme of Only Watch 2017. The 45mm by 45mm square case looks comfortable, not too large and not too small, a goldilocks zone for this brute mechanical watch. Its high-tech forged carbon and ceramic build go quite far for a watch. It’s super tough without even mentioning the rubber inserts, Rocker push-buttons, and sapphire crystal elements that truly make this a unique Bell & Ross BR-X1 RS17. 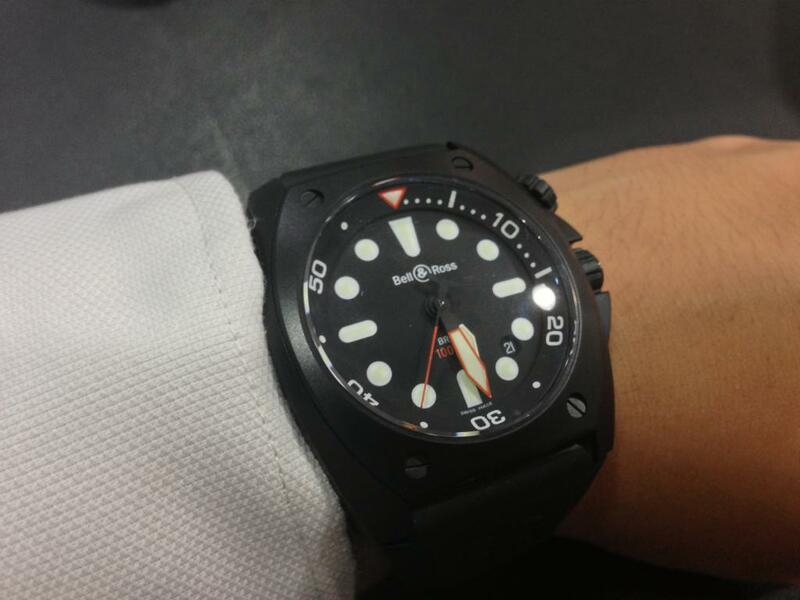 It has water resistance rating of 100 meters, impressive for this kind. The dial is skeletonized, of course it is the BR-X1 folks. The grey-tinted sapphire crystal round dial also showcases the movement itself, features that are also found on the regular production models so if you badly want this set-up, there is an easier way to get a hold of a BR-X1. As far as legibility is concerned, if you love mechanical watches, then you will always love looking at the watch. The hands and indices are well thought of and the color elements are impressive, super readable and appears very complex. Speaking of the color scheme, the multicolor inner flange is now in yellow and so are the the 30-minute counter and the tachymeter scale printed on the forged carbon bezel. 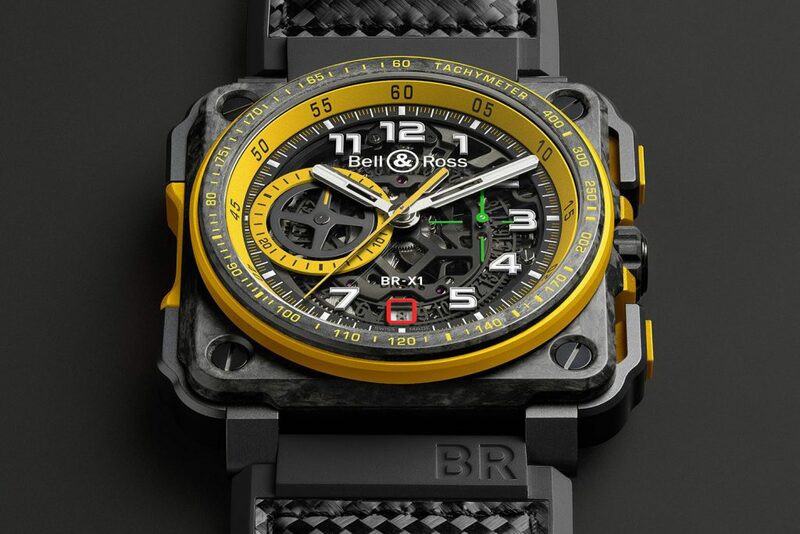 Powering the BR-X1 RS17 is the calibre BR-CAL.313, an automatic skeleton chronograph. It beats at 4Hz frequency with 56 jewels utilized. The impressive automatic movement is seen through the front face so that you don’t even need to turn the watch over to appreciate its innards. 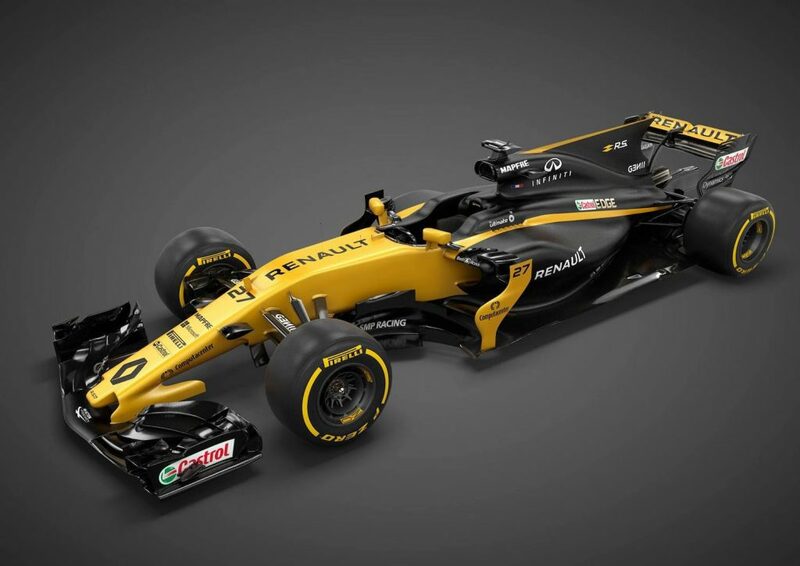 The BR-X1 RS17’s surprises for the winning bidder is an invite to the Renault Sport Formula One Team at the last race of the championship in Abu Dhabi this November and of course the opportunity to meet the drivers and receive the race gloves worn by Nico Hülkenberg for the Grand Prix. Technically, the BR-X1 RS17 offers more than what your money can buy.